he concept of a farmhouse or estate brewery isn't new—places such as Logsdon in Hood River, Wolves and People in Newberg and Agrarian Ales in Eugene are local examples. In this region of the U.S., however, Finnriver—whose ciders and fruit wines have been available in Bend for several years—takes the cake in sheer atmosphere. Finnriver is located in Chimacum, Wash., a community on the Olympic Peninsula that's a ferry ride and about an hour's drive west of Seattle. It's primarily an agricultural region, with three large wooden cows greeting motorists as they roll along Washington State Route 19, bordered by the majestic Olympic Mountains seemingly on all sides. 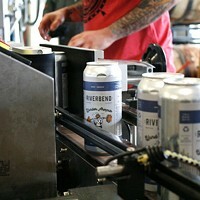 The land Finnriver's on has been farmed since the 19th century, and the founders were regulars at the farmers market in nearby Port Townsend before getting into craft cider in 2008. Upon arriving, visitors are instantly rewarded with a feast for the eyes. Most of the farm is wide-open for browsing around, with an expansive lawn area offering lovely views of the mountains. A self-guided tour of the complex is available, letting people check out the sheep, the grain fields, and the long rows of apple trees that produce much of the cidery's raw ingredients. There's a ton of covered outdoor table space, as well as a smaller indoor bar offering both draft pours and a guided tour of six different beverages for $7. 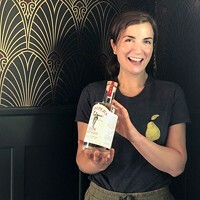 ashington, as well as Victoria Island across the border in Canada, is rife with cideries, from big outfits such as Seattle Cider and Schilling to tiny Westcott Bay Cider, located way out on the far end of San Juan Island. In addition to being located in a beautiful place, however, Finnriver sticks out from the crowd thanks to the awesome variety it provides. Sure, they've got all the traditional sweet and semi-sweet types, along with a Spanish-style "Sidra" which is fermented out in the open to give it a trademark pungent acetic nose. But they don't stop there. 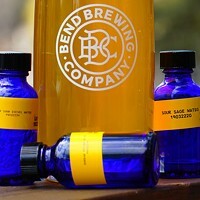 The Dry Hopped Cider mixes a bright, dry cider with citrus notes provided by Cascade hops—no hoppy bitterness, just a lot of floral notes that pair perfectly with the cider. The Crew Selection series, available only at the cidery itself, includes original, inspired creations including a lambic-style cider infused with cherries. Then there are the wines, made with apples, pears, raspberries and more, and usually clocking in at 18 percent alcohol by volume—great for winters by the fire. If you're traveling around the Peninsula and looking for a unique experience, Finnriver has it all—great cider, great views, and a great way to spend the afternoon. 124 Center Rd., Chimacum, Wash.